The video "The time has come" was prepared by AA and TRT. 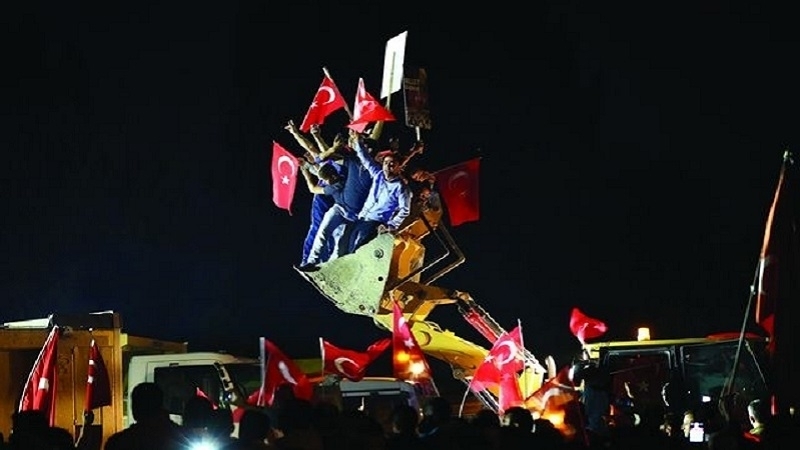 The clip prepared by the Turkish media shows how the Turkish nation took to the streets on the night of July 16 to resist the military junta and prevent a coup d'état. Reference: A group of soldiers of the Armed Forces of Turkey, involved in the terrorist movement of Fethullah Gulen, on the night of July 15 to July 16, 2016 attempted to seize power in the country. The actions of the junta were resolutely prevented due to the actions of the country's leadership and law enforcement agencies, as well as ordinary citizens. Then, up to 250 people were killed.